Germany is the largest country in Central Europe. It is bordered to the north by Denmark, to the east by Poland and the Czech Republic, to the south by Austria and Switzerland, and to the west by France, Luxembourg, Belgium, and the Netherlands. Germany is a federation of 16 states, roughly corresponding to regions with their own distinct and unique cultures. Germany is one of the most influential nations in European culture, and its influence on the world economy cannot be denied. 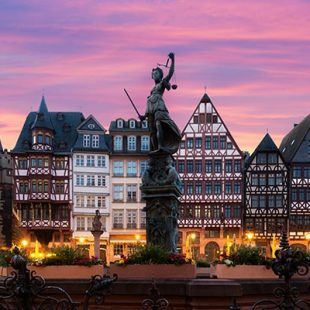 Known around the world for its precision engineering and high-tech products, it is equally admired by visitors for its old-world charm and "Gemütlichkeit" (coziness), or guest-friendly-ness! If you have perceptions of Germany as simply homogeneous, it will surprise you with its many historical regions and much local diversity for its relatively small size.